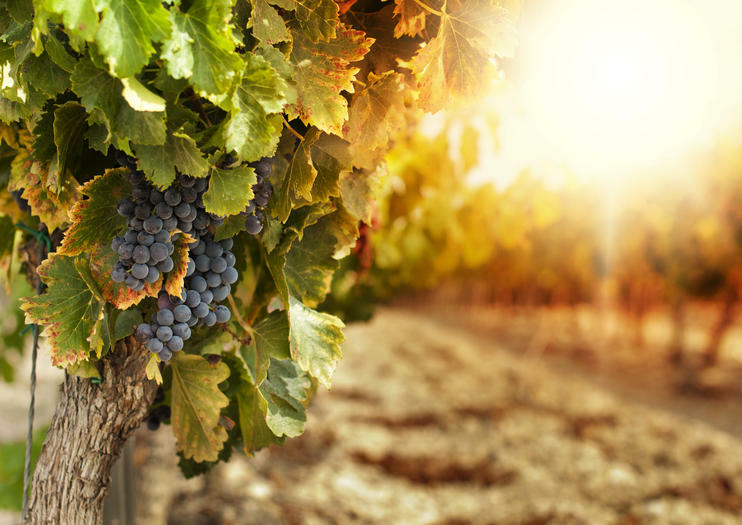 Blessed with an ideal climate for grape growing and renowned as one of the most important Greek wine growing regions, the island of Rhodes has nurtured a tradition of wine production since ancient times. Although Rhodes had been exporting wines since as early as the 7th century BC, it was the cultivation of Malvasian grapes during the Middle Ages that really put the island on the map, fast becoming one of the principal Mediterranean wines. Today, Rhodes has around 7,500 acres of vineyards and the largest wine production house is Cair, located close to Rhodes town. Many of the other prominent wineries can be found further south, clustered around the traditional villages of Emponas and Siana – the family-run wineries of Emery, Kounaki and Alexandris are popular choices, all offering wine tasting and vineyard tours. The most famous regional varieties include a number of dry red wines made from the abundantly grown Mandilariá grapes and the dry, aromatic white wines, produced from Athiri grapes, as well as a small number of celebrated sweet Muscats.